FIND THE BEST ABS EQUIPMENT AND WORKOUTS FOR YOU! Check out our honest reviews and comparison of the best weight benches you can buy for a home gym. Also, learn what to look for when buying. 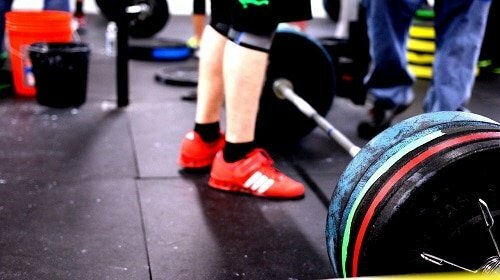 Do you want to buy a power rack? Here is the guide you need. Reviews and comparison of the best cages, buyer's guide and deals to save a lot. Comparison and honest review of the best rated adjustable dumbbells. Everything you need to know, buyer's guide and huge discounts to find the right weight. Review of the best Roman chairs to buy. Get a hyperextension bench to work out your abs and lower back at home for a strong core. A detailed buyer's guide. Want to buy a sit up bench? Here is the ultimate guide for ab benches. Comparison and review of the best machines and detailed buyer's guide. Searching for the most beneficial equipment to train your abs at home? Check out our honest reviews and comparison of the best tools here. Do you want to build muscle or burn fat at home? Check out the best strength training and cardio equipment here. Find a lot of abs workouts here that you can do at home with or without equipment. Do you want to know how to lose weight, be healthy and have better workouts? You can find useful tips here. Finding the right abdominal exercise equipment for home is not an easy task sine there are a lot of products out there. Unfortunately, most of these devices are not as good as they are promoted. In many cases, some of the “as seen on TV” products are good for nothing. You have to understand that getting six-pack abs is almost impossible by using an ab trainer if you have the thick layer of belly fat. You need to do cardio exercises and pay attention to your calorie input to burn that stomach fat. But there is no question that some home exercise equipment can help you to burn fat, lose weight and train abdominal muscles effectively without going to a gym. What is a good ab equipment? One which is safe and comfortable to use, it strengthens the all the core muscles by a full range of motion and does not cost too much. Let’s go into the details. It is very important to use equipment which is comfortable. When you do the abdominal workouts, it should support your body. Or, at least, it should offer options to tweak it to make it comfortable. A good exercise machine for abs is developed to protect users from different sorts of injuries and strains. Never buy a machine that forces your body into an unnatural state or does not come with stabilization. It may harm your lower back, neck or any other parts of your body. Before purchasing, check out what sorts of settings it offers, how it works and read some reviews made by users. If the reviews complaining about injuries, forget that product. Your health is the first. Buy one that lets you train all your muscles – upper and lower abdominals, oblique muscles and the intercostals. Besides targeting all the muscles and it should provide a full range of motion. 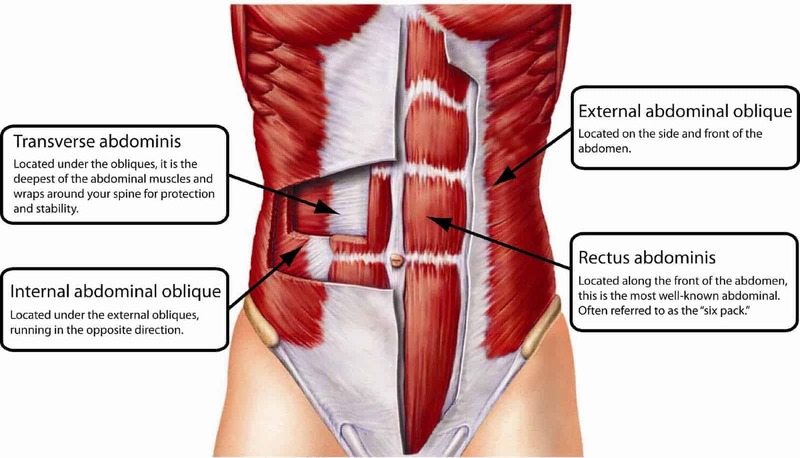 The best way to train your midsection is to make moves which go from total stretch to total contraction. Unfortunately, there is not much exercise equipment for abs which supports full movements. Most of the tools do not take care of extension, only on contraction. Before buying check out how big it is. If you live in a small flat, it will be hard to use a large machine unless you cannot fold it up. There is some equipment which can be folded up and stored in a small place, but bigger ones need a place. Keep storage in mind before buying one. 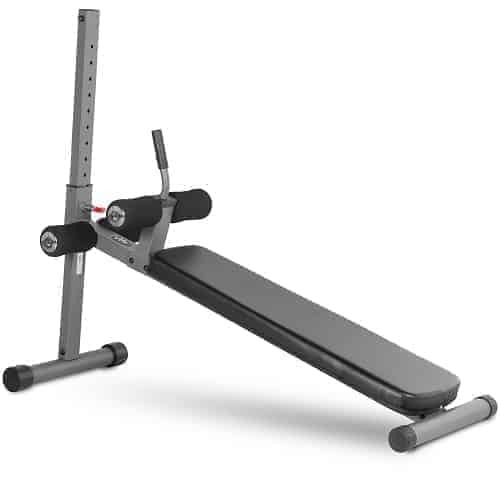 There are a lot of ab machines for home within a wide range of prices. In many cases, not the most expensive is the best. On the other hand, if you buy a low quality and cheap product, at the end you will pay more. Decide how much you want to spend and try to find the most suitable core exercise equipment for your money. If you follow the tips about how to buy an ab machine, you will get one which not only helps you to get a flat stomach, but also safe. On this site, we only talk about those that meet the mentioned criteria.